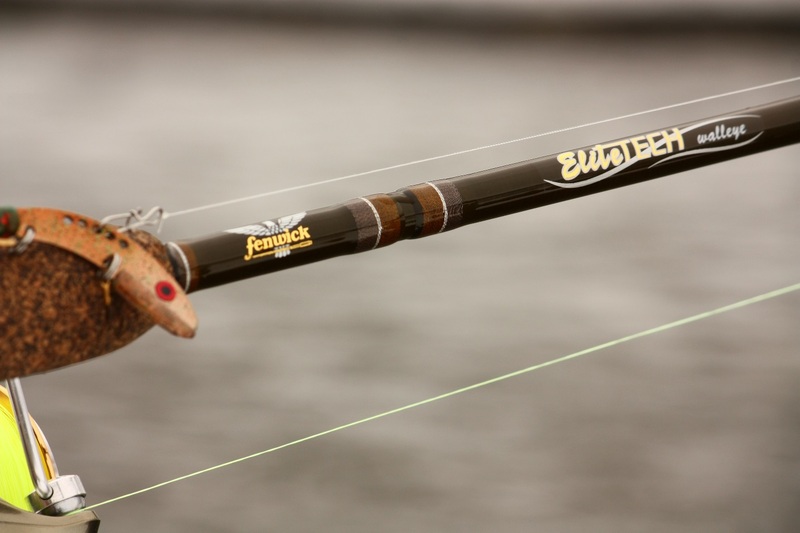 Fishidy’s online waterway pages offer fishing maps that provide all sorts of information to help anglers catch more fish and have more fun on the water. One of the most significant features of our maps are contour lines, which show bottom depth in gradients (usually of 5 or 10 feet) from the shoreline all the way to the deepest part of the waterway. How can you interpret these lines, and use them to find more fish? Read Between the Lines – The key to reading contours is understanding the space between lines. The wider the space between lines, the flatter and more gradual the slope of the bottom of the waterway from one line to the next. The narrower the space, it’s just the opposite – steeper and more of a quick drop-off. Understand Your Species of Fish – It’s always helpful to understand the habits of the kind of fish you’re targeting. Certain fish prefer to be in shallow or deep water depending on the season of the year. For example, bass generally like to be shallower in cooler weather and deeper in the warmer months. 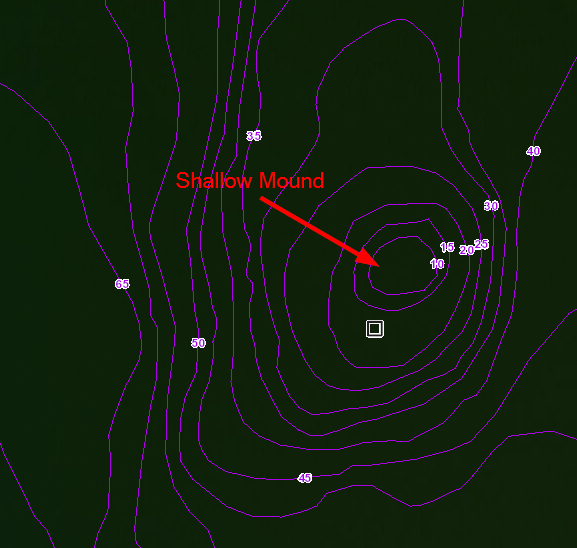 As such, contour lines can help you identify where your target fish are most likely to be. In addition, when and where do they spawn? What is the water temperature they prefer? Are there certain types of underwater structure that species prefer, such as weeds, drop-off edges, drowned wood, docks, cribs, or deep underwater points? 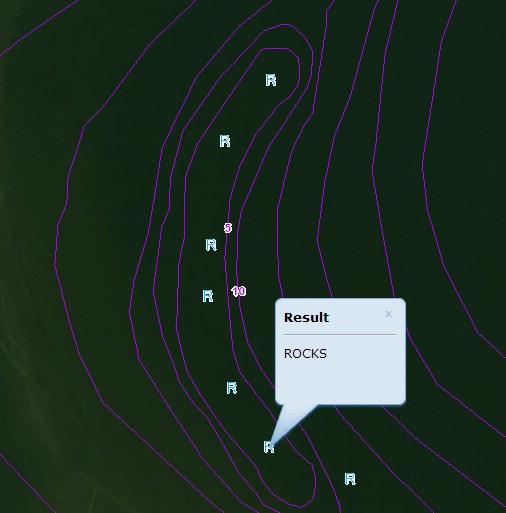 The more you know about your target fish, the more you know what to look for on a fishing map with contour lines. 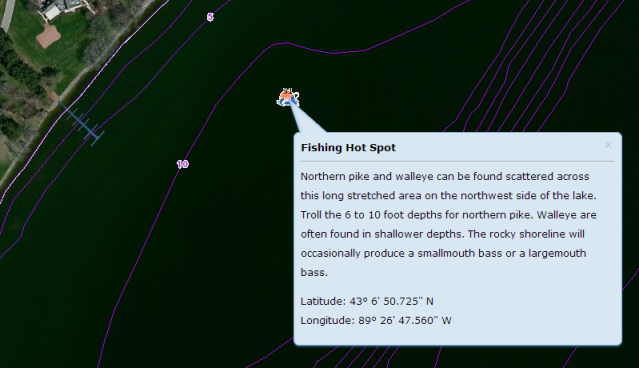 Fishidy Premium Members can quickly identify these types of areas by clicking on underwater structure icons on the map. 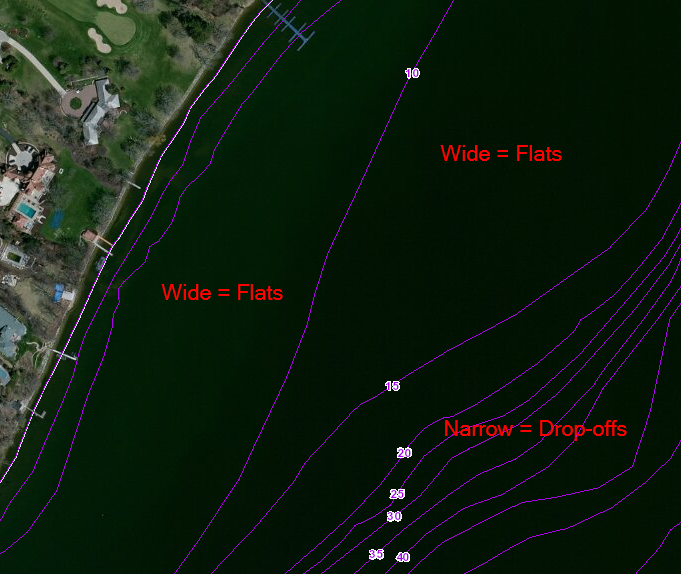 Identify “Hot Spots” – Look for places on contour maps where there are relatively flat areas that connect or bridge together shallower and deeper water areas. As fish migrate within waterways during particular times of year, these channels often become their main pathways and sources of food. Also look for places where lines are close together. These are indications of drop-offs, ridges or deeper structure. Also, concentric circles are likely an indication of a ridge or mound coming up from the bottom of the waterway. 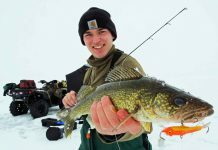 Fish love relief features like these, especially predator fish like bass, walleye and pike because they offer a place to hide and hunt for their prey. 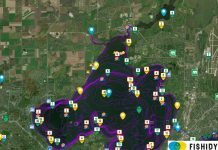 Fishidy Premium Members can quickly identify these types of areas by clicking on Fishing Hots Spots® icons directly on the map. Hopefully these tips will help next time you’re reading a contour map, and lead you to more and bigger fish. 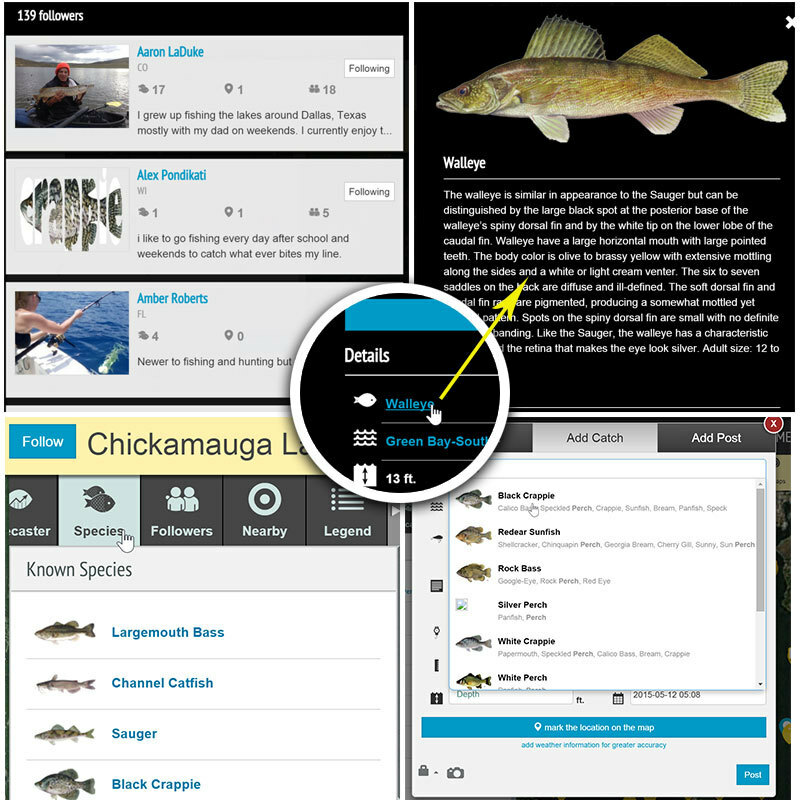 As always, be sure to log your catches and mark your spots using Fishidy. Glad you liked it, and thanks for stopping by the Fishidy blog! thanks for more knowledge fishidy. this site is awesome, not to many places where you can get contour maps. Thanks Justin! We’re always looking for feedback from users like yourself to make Fishidy even more awesome. 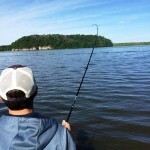 Thanks for stopping by the blog, tight lines! The contour lines are all in feet. If you’re seeing something different, please send an email to our customer support team at support@fishidy.com. Thanks! As a woman and a semi new E to the sport of fishing … I find this site very informative and has lots of useful information about fishing and different techniques ( which we all can use). I’ve recently learned how to back a trailer w/boat and unload it solo, which isn’t easy. Need more practice and info on loading boat onto trailer from water as I found out trial by error. Thank you to the many of you that have provided me with useful info. Do you cover the southeast lake,s in ga. And fla and alabamma? Of course! We have tons of fishing map coverage in the southeast. 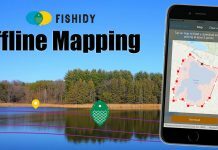 Do a quick search on http://www.fishidy.com/fishing-maps to narrow down the waterways you’re looking for. Once you create a free account and login, you’ll then have access to the interactive maps. Tight lines! A debt of gratitude is in order for more information fishidy. this site is marvelous, do you know about left-handed spinning reel.